Gripsweat - SONNY BOY WILLIAMSON Dissatisfied CHECKER 910 DJ listen!! 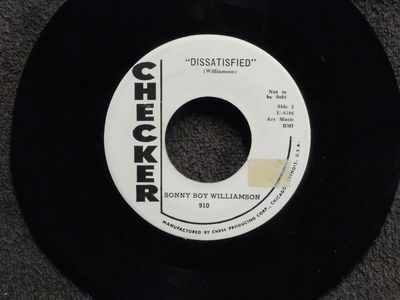 SONNY BOY WILLIAMSON Dissatisfied CHECKER 910 DJ listen!! ADDITIONAL NOTES: ORIGINAL COPY - Not a reissue!!! Another r&b classic. Postage will be paid by the buyer. No handling fees will be charged.